Thirsty Pilgrim: The NYT and €200 Bottles of Beer, For the Record. The New York Times offered this beer geek's tour of Belgium the other day. You could do worse than follow in its footsteps, but there were a few errors that would have been cleared up by a bit of fact-checking. First there is the misspelling of Mr. De Baets' name. No relation to Norman Bates. 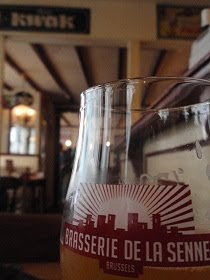 Then there is the claim that Yvan founded the Brasserie de la Senne. Nope. The founder was Bernard Leboucq, who first brewed Zinnebir and later invited Yvan to join him. Regarding Westvleteren, the article says that one can only buy one case of beer per month from the monks. In fact the limit is often two or three cases per vehicle. It just depends on the beer and the time of year. Interestingly: The author mentions that the old Senne-blended Crianza is going for €200 a bottle at Moeder Lambic. When I read that bit, I thought maybe Jean and the guys were taking a piss. I checked with Nassim, and in fact they do have it listed at that price... so effectively it's not for sale. There are only about 20 bottles left in existence. If some cash-flush geek does come along and insist on paying that much, well... He or she receives a warning that, in the opinion of the ownership, the beer is past its prime. Buyer beware. All I can say is, €200 would buy a lot of fresh glasses of Taras Boulba. Or even better, an entire pitcher. In my opinion if Crianza is in list, it is on sale, whatever the price is, whether the price really reflects the value of the beer of not... I heard more than one people disappointed after having seen some prices of that list. SR, you make a good point. Certainly those guys are unafraid to put higher prices on rarer beers and those hunted down by geeks... who are often willing to pay. 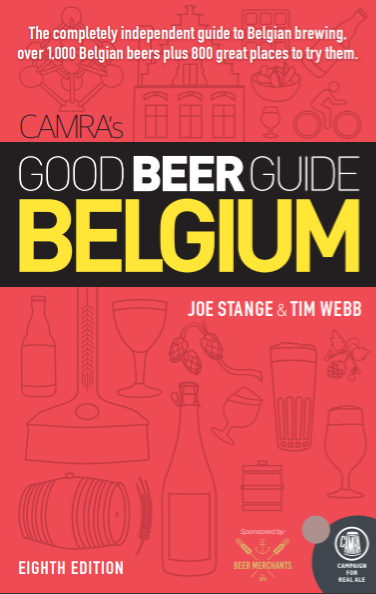 While this practice might be out of whack with the rest of Belgium, it's pretty common in the world's top beer specialist bars. Meanwhile the prices are very reasonable on the country's most interesting and drinkable selection of draft beers. Like I said, €200 would buy a lot of Taras Boulba.